athenahealth, Inc., a leading provider of cloud-based services for electronic health record (EHR), practice management, and care coordination, today announced Christy Turlington Burns, founder of Every Mother Counts (EMC), and Allen L. Gee, M.D., Ph.D., FAAN of Frontier Neurosciences as its 2014 Vision Award winners. 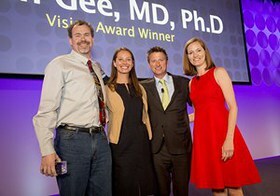 The Vision Award, which was established by athenahealth as part of its annual User Conference, recognizes individuals and organizations that embody and extend the company’s goal to make health care work as it should. Past winners include St. Boniface Haiti Foundation, Dr. Abraham Verghese, and Dr. Atul Gawande. athenahealth honored Christy Turlington Burns, recently named to TIME’s “The 100 Most Influential People,” for her awareness and advocacy work to overcome the barriers to maternal health and education around the world and in the United States. 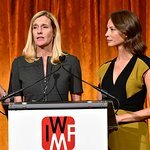 In her role as a global maternal health advocate, Turlington Burns directed and produced “No Woman, No Cry” in 2010, a documentary film about the global state of maternal health. Thereafter, Turlington Burns founded Every Mother Counts, a non-profit organization dedicated to making pregnancy and childbirth safe for every mother. The organization informs, engages, and mobilizes new audiences to take actions and raise funds that support maternal health programs around the world. athenahealth also honored Dr. Allen Gee, a neurologist, of Frontier Neurosciences in Cody, Wyoming, for his efforts to deliver better patient care through the use of innovative telemedicine technology. Leveraging this novel technology, Dr. Gee has created a virtual practice that eliminates geographical barriers in his rural region, while bringing high quality care to patients in need of neurological care across the state of Wyoming. Dr. Gee was selected by his peers and the external community for the 2014 Vision Award recognizing an outstanding client practice or staff member who embodies athenahealth’s vision. Other nominees recognized for their work were The San Antonio Orthopaedic Group and Christus Provider Network. Videos sharing each nominee’s story can be viewed here.